Bishwo Shankar Palikhe at a press meet in Pokhara. Pokhara—Pokhara Chamber of Commerce and Industry (PCCI) immediate past President Bishwo Shankar Palikhe said that the Nepali Congress Kaski Chairman Krishna KC should take the responsibility of Rabindra Bahadur Prajoo’s defeat in PCCI election held on September 22. At a time when NC Kaski has sought a clarification from Palikhe over his alleged anti NC manner and discipline, he accused KC of politicizing the PCCI election by forwarding Pokhara Metropolitan City ward- 3 chair Prajoo as a presidential candidate who was defeated by 7 votes by is only rival Damu Adhikari who was believed to be represented left panel in 32nd convention of PCCI. Organizing a press meet today in Pokhara, Palikhe also claimed that he had tried to form an unanimous PCCI executive body following the discussion with democratic and left leaders of Kaski but situation turned into politics as KC picked Prajoo as a presidential candidate of democratic panel. “It is not fair to accuse me of defeating Prajoo,” Palikhe further added, I played an impartial role to make election a fair and free as I was holding multiple roles of PCCI then chairman and devoted NC activist. Palikhe also claimed that the PCCI election has killed the brotherhoods among the members of private sector. ‘So, let’s not make PCCI a factory of wrangling.’ Palikhe said. 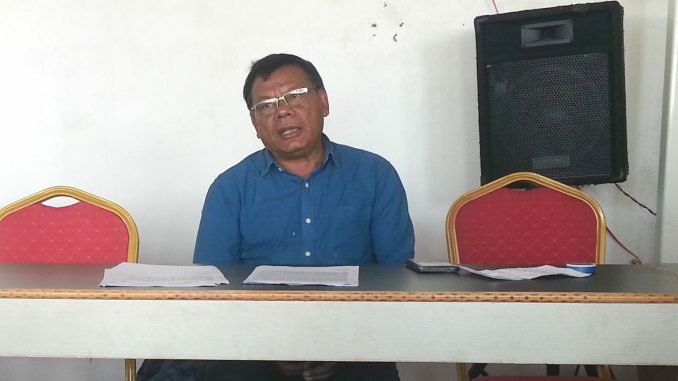 According to Palikhe, Prajoo would lead the PCCI after former’s tenure, was the understanding but later Damu replaced Prajoo as latter was elected in ward number 3, in next understating. Palikhe also talked about works that were done by his leadership during his two years tenure in PCCI. The construction of funeral home at Mardi Khola area, solar light installation with the help of China in Pokhara, management of road dividers to minimize the road accidents and beautification of Pokhara, conduction of PCCI job portal and the well being of PCCI members are some of the tasks that were confined in his press release.